Jason Bullock, lighting and video designer for American metal band Korn, is using a full Martin lighting and video setup on the band’s current “Path of Totality” tour, a US promotional outing that played dates throughout November prior to the band’s new album release in December. Korn’s touring rig is a prime example of the successful convergence of lighting and video with Martin Professional’s new MAC Aura™ wash light and MAC III Profiles™ working with Martin EC-20™ and LC Series™ video panels. Bullock was one of the first in the US to preview the Aura – a full month before its official US release – and consequently contacted John Bahnick and John Huddleston at Upstaging about getting some for the Korn tour. As it turned out, Korn’s first show aligned to the day with the MAC Aura’s US release. Bullock calls the Aura’s 11 to 58° zoom fast and consistent and uses it to great effect. 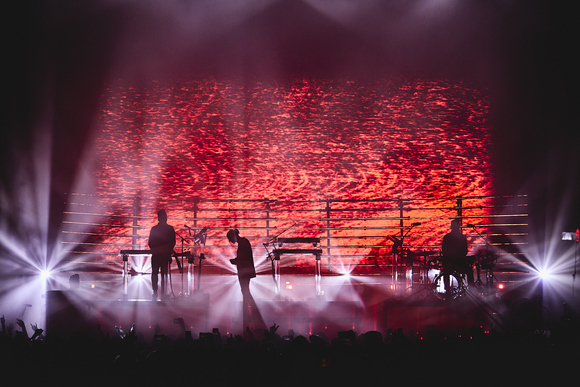 “With just a few lights you can flood the entire audience, and bouncing between the internal and external effects with the zoom moving allows for a new range of eye-candy effects,” he says. 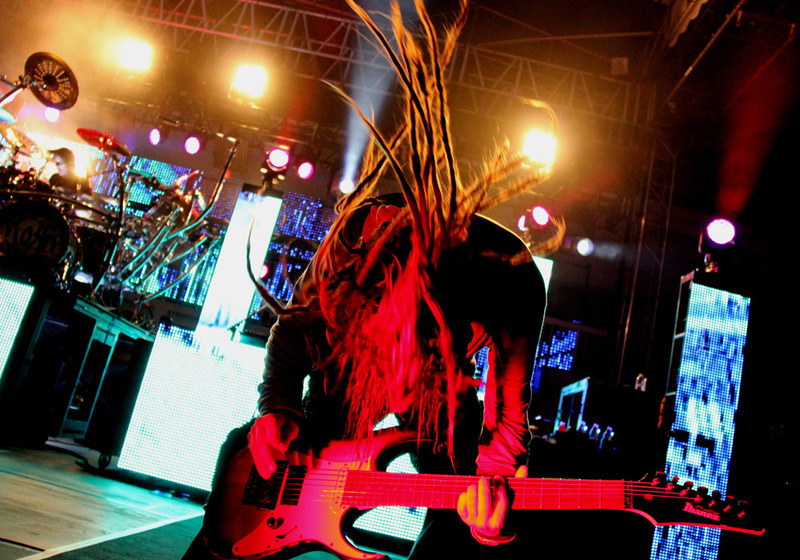 The idea to incorporate video into the show came from Korn’s lead singer Jonathan Davis with panel details and layout hashed out in conjunction with Bullock while touring Asia. The largest single screen is 40' wide and hangs off two lighting trusses with the lower resolution LC panels placed all the way upstage so that all of the LED screens appear the same visually. 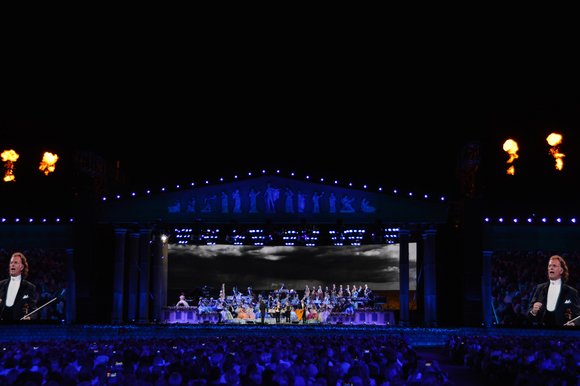 Video processing is handled via a P3-200 System Controller™, Martin’s advanced video signal processor that allows LED screens to be treated like lighting instruments through DMX control of brightness, color, pixelmapping and more. Bullock praises the Upstaging lighting and video crew of Crew Chief Mike Ponsiglione and Troy Smith, who handles dimmers and control. “It’s an outstanding crew from Upstaging and I value highly the input of both Mike and Troy. It was great to have just the small team of us do a cutting edge project, something all of us had wanted to do.” Bullock reports that every piece of gear has had a 100% performance rating with no spares used, video gear included.